April 8th, 2013 - Posted in Midtown West. 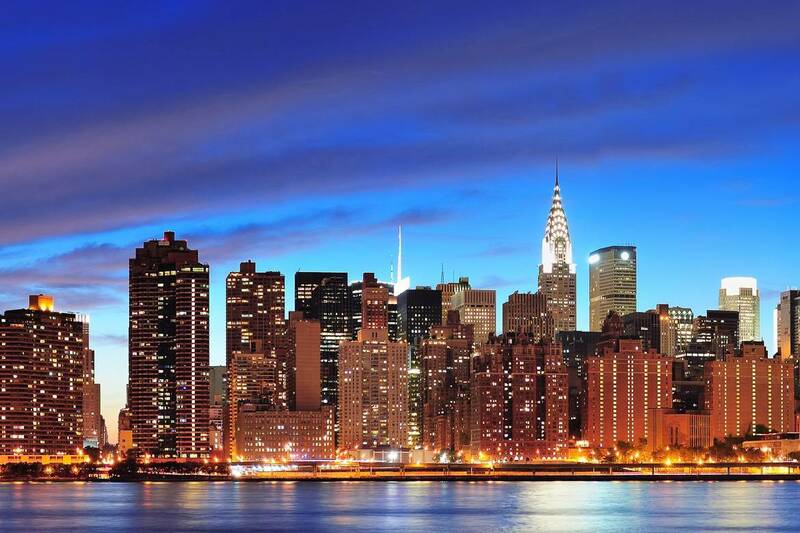 When you’re planning a trip to New York City, chances are you’ll want to stay in Manhattan. In Manhattan you will find many of New York’s famous attractions and landmarks such as the Empire State Building, Times Square and Central Park. 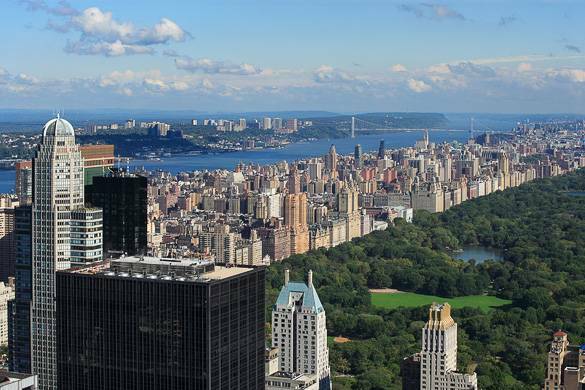 Manhattan is also home to various Universities and is the financial center of the city. So if you’re coming to New York to study, do an internship, or work; Manhattan is the place to be. 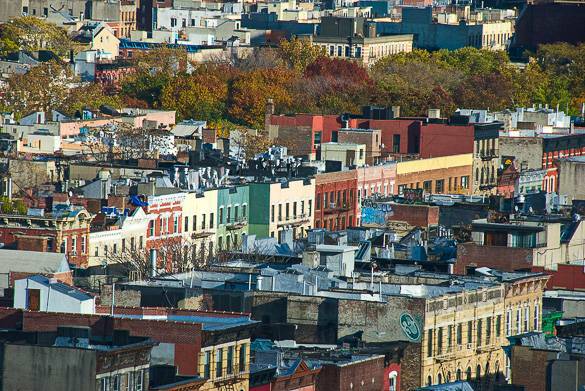 However, it can sometimes be difficult too find affordable accommodation in a residential neighborhood in Manhattan. 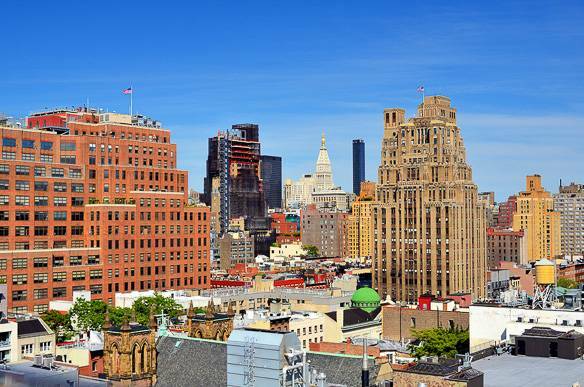 But there are some neighborhoods that are an exception and which manage to combine all the best of Manhattan: great apartments, fantastic restaurants and a thriving cultural life. Hell’s Kitchen in Midtown Manhattan is such a neighborhood. 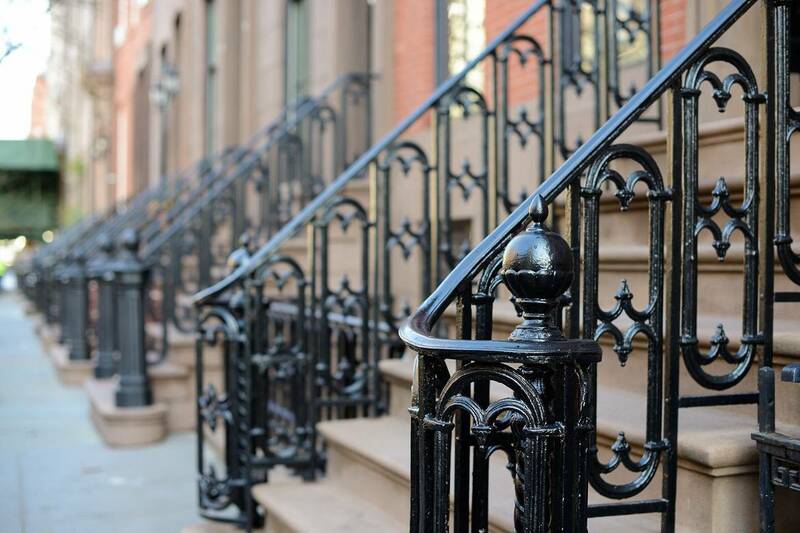 In this article, we’ll introduce you to Hell’s Kitchen and paint you a picture of what it is like to live in this great neighborhood of the best city in the world! The first thing we should tell you about Hell’s Kitchen is please don’t be put off by its name. Although the area in the past was thought of as a gritty neighborhood, nowadays the area is gentrifying and has become a very desirable residential neighborhood. Hell’s Kitchen is also referred to as Clinton or Midtown West, as the neighborhood is part of Midtown Manhattan. The northern border of Hell’s Kitchen is usually considered to be 59th street, the eastern border is 8th Avenue, the southern border West 34th Street and the western border is the Hudson River. This means the neighborhood includes two major transportation hubs: The Port Authority Bus Terminal and Penn Station. The A, C and E subway lines also run along 8th Avenue, making Hell’s Kitchen an easily accessible neighborhood. The two main shopping streets in Hell’s Kitchen are 8th Avenue and 9th Avenue. Eighth Avenue offers many tourist shops, as well as fashion stores and department stores such as the Japanese Muji. At 59th Street & 8th Avenue you’ll find Columbus Circle with the impressive shopping destination, The Time Warner Center. There’s an excellent Whole Foods located in the basement where you can do all your grocery shopping or have a quick bite to eat. Along Ninth Avenue you’ll find stores ranging from small boutiques to famous fashion stores. Some of our favorites include Housing Work Thrift Shop and Tagg. If you’re looking to buy fruits and veggies for very competitive prices, stop by Stiles Farmers Marketon 41st Street & 9th Avenue or 52nd Street between 8th and 9th Avenue. These little markets are open every day and offer unbelievably affordable fruits and vegetables.On 57th Street & 9th Avenue the 57th Street Green Market is held every Wednesday and Saturday, where you can purchase fresh produce from local farms. 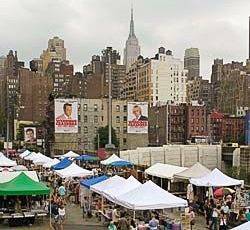 Lastly, you can find the famous Hell’s Kitchen Flea Market on West 39th Street & 9th Avenue. Hell’s Kitchen’s bars and restaurants are famous throughout the city. When you’re living in Hell’s Kitchen you can eat out in a different place every day and still not have tried everything in a year! The following are some of our favorite places in Midtown West. For what might be the best cookies in the city, head to Schmackary’s on 45th & 9th. We suggest you try the Maple Bacon cookies, they are delicious! For all other baked goods, go to Amy’s Bread on 47th & 9th, which has become an institution in New York. 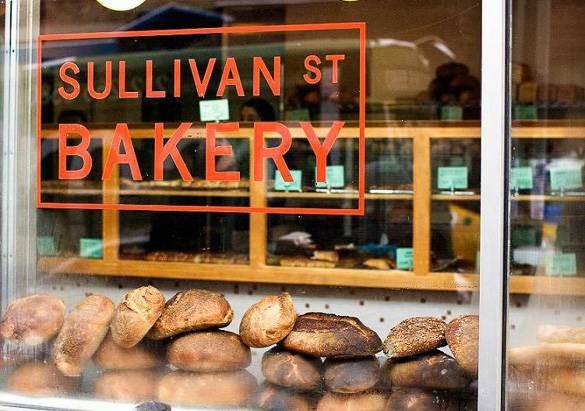 More favorites include the Empire Coffee and Tea Company, the Cupcake Café, the Little Pie Company, Sullivan Street Bakery and Café Grind. Hell’s Kitchen is filled with a wide array of different bars. Perhaps this has something to do with its past as a predominantly Irish area. There are certainly a great number of Irish bars still to be found in the neighborhood. 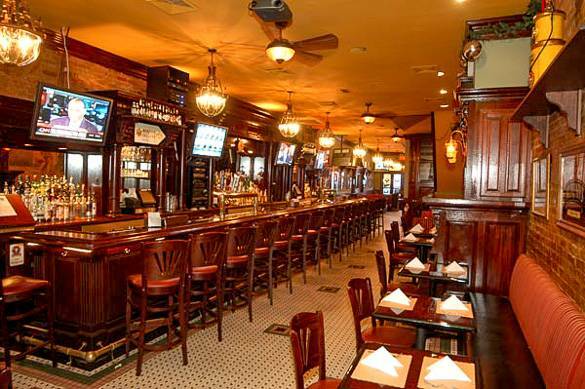 One of our favorites is called McGee’s, which is located on 55th Street between 8th Avenue and Broadway. For fans of the series How I Met Your Mother this name might ring a bell, as McGee’s was the inspiration for McLaren’s Pub on the show. Even if you’re no HIMYM fan, the pub’s extended happy hour and delectable cheese fries make a visit to McGee’s well worth your time! One of our favorite clubs is called Sky Room. Sky room is supposedly the highest rooftop bar in New York City, and as such offers some amazing views. For more info about Sky Room and other rooftop bars in Manhattan, check out our Top 5 Rooftop Bars in New York City. More of our favorites include Rudy’s Bar and Grill, which offers some very cheap beers, the gay club Therapy, the Pony Bar, Traffic and 9th Avenue Saloon. The restaurant Hell’s Kitchen on 47th & 9th is a great Mexican place, as is the authentic hole in the wall Tehuitzingo on 48th & 10th. If you prefer a good burger, try 5 Napkin Burger or the Shake Shack. Other favorites include Becco, Capizzi, Casellula, Chipotle, Daisy May’s and Lali Restaurant. 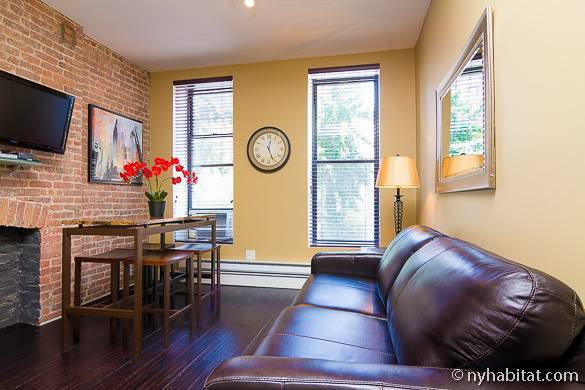 When you’re coming to New York on holiday, Hell’s Kitchen is a fantastic area to stay in. You’ll have easy access to great restaurants and shops, but the neighborhood is also an ideal base to explore the rest of Manhattan. We have many vacation rental apartments available in Midtown West. By staying in one of these apartments you’ll be close to Times Square, Central Park, the Empire State Building and more! If you’re coming to New York City for a longer period, Hell’s Kitchen’s residential vibe will ensure you feel right at home. 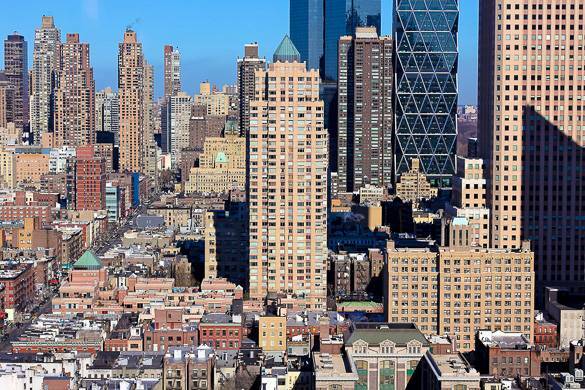 By staying in a Midtown West furnished apartment you’ll have the chance to live among the locals and truly be a part of this exciting Manhattan area. The Hudson River Park offers a beautiful view of New Jersey across the river, and has a great track along the water for joggers. There’s also a lot to do at the different piers. For example, you can kayak for free at Pier 96 during summer! 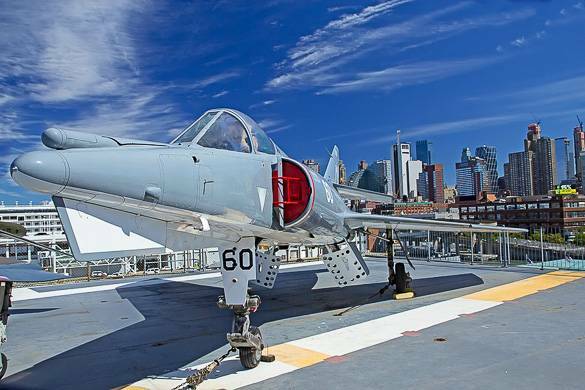 Along Pier 86 you’ll find the Intrepid Sea, Air & Space Museum, which is an amazing maritime and military museum. Culture-wise, Hell’s Kitchen is the home of alternative theater and off-Broadway shows. Many small theaters can be found along 8th Avenue near 43rd Street and 44th Street. And if you do want to see a big musical you won’t have to look far: Times Square is just one avenue east from Hell’s Kitchen’s 8th Avenue. For more info on the Times Square area, see Discover New York City’s Times Square! Being a part of Midtown Manhattan, you will find many skyscrapers within the neighborhood of Hell’s Kitchen. 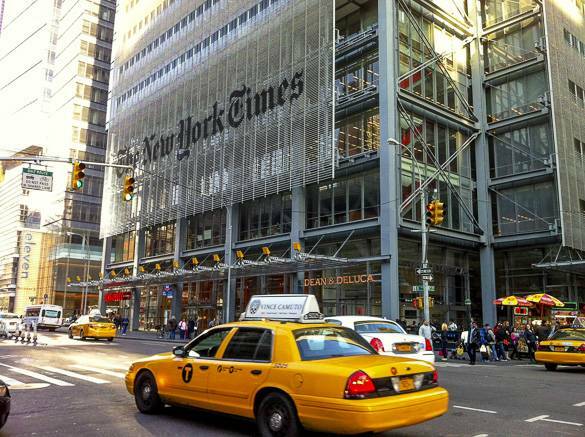 Technically the New York Times Building is located just outside the neighborhood borders, but it’s definitely a building worth seeing! Perhaps the most famous tower of Hell’s Kitchen is the Hearst Tower. The tower was the first green high rise office building in the city, and the steel and glass exterior makes it one of the most beautiful modern skyscrapers in New York, in our opinion. If you’re staying in Hell’s Kitchen you’ll also have the opportunity to easily go on daytrips outside of the city. At the Port Authority Bus Terminal you can take cheap buses to cities such as Washington D.C., Philadelphia and Boston! Hell’s Kitchen is a truly fascinating up-and-coming neighborhood, and the future for the whole area looks bright indeed. 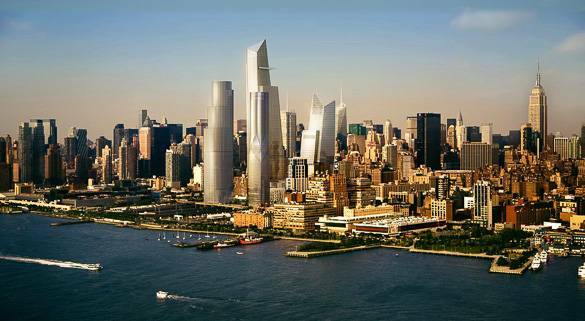 A vast development project has been approved to entirely reshape Manhattan’s far West Side along the Hudson River. The so-called Hudson Yards Redevelopment Project will transform the now largely industrial area into a public space with room for housing, offices, restaurants, shops and more! We hope you’ve enjoyed this introduction to Hell’s Kitchen. Of course there’s a lot more to say about the neighborhood. What’s your favorite spot in the area? Visit London with the Kids for a Fantastic Family Holiday!